The response is shown to the right of the form. Requests to Solr are simply HTTP requests, and the query submitted is shown in light type above the results; if you click on this it will open a new browser window with just this request and response (without the rest of the Solr Admin UI). 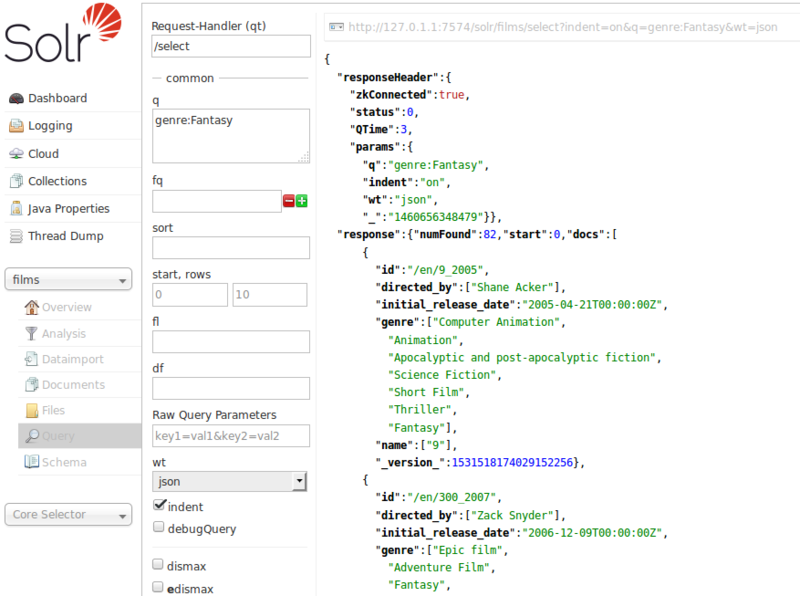 The rest of the response is shown in JSON, which is part of the request (see the wt=json part at the end). Specifies the Response Writer to be used to format the query response. Defaults to XML if not specified.